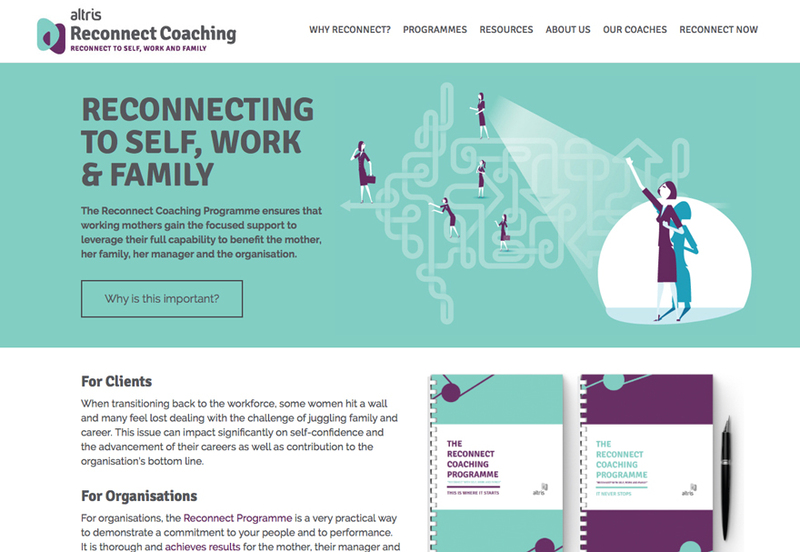 The Reconnect Coaching Programme ensures that working mothers gain the focused support to leverage their full capability to benefit the mother, her family, her manager and the organisation. As a result of feeling valued and supported by their organisation, employees arrive at work feeling a sense of connection – with a clear and seamless connection between their work and family life. 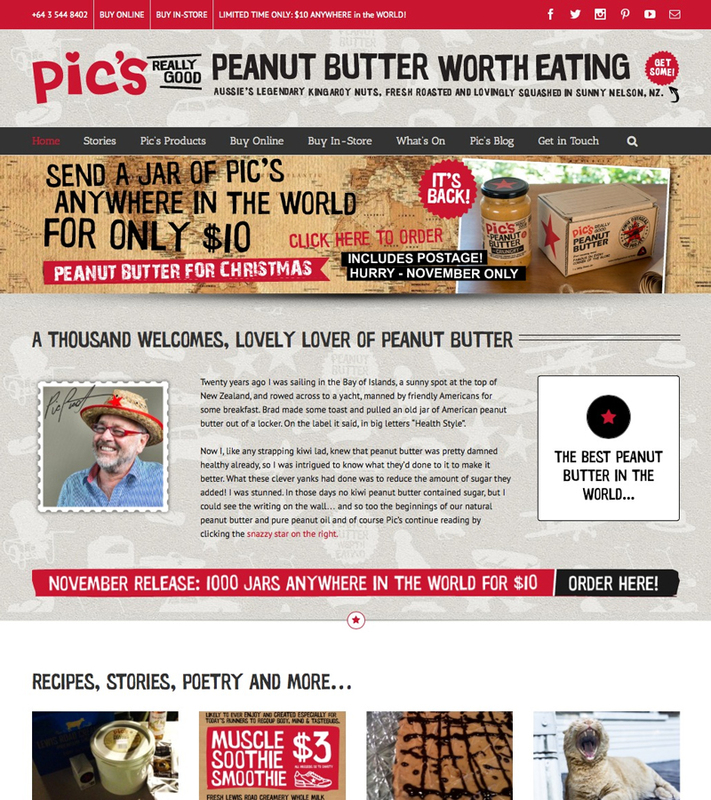 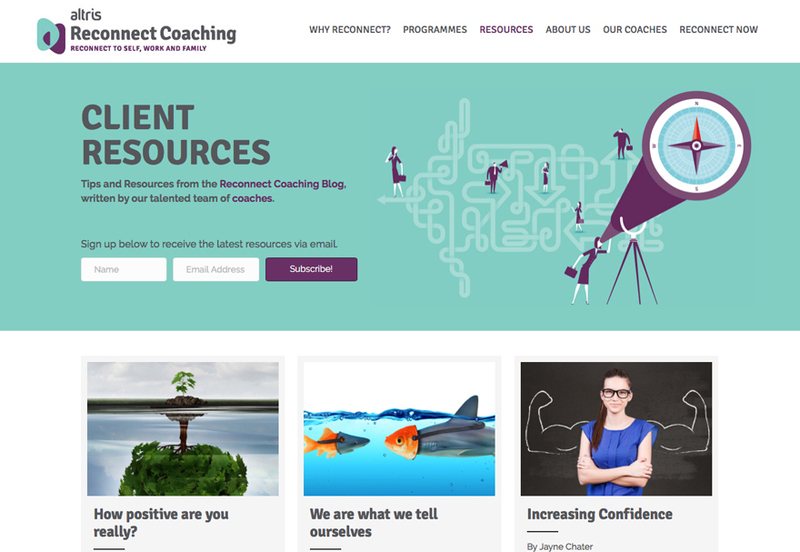 Envisage was thrilled to offer creative branding and web design services to Jayne Chater and her talented team of Reconnect Coaches.